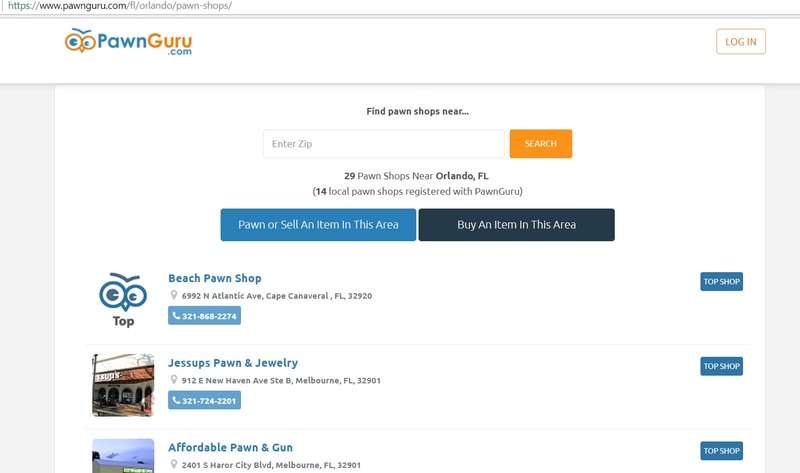 We noticed a new www.PawnGuru.com website that is supposed to be the directory of pawn shops. We did a quick search for Orlando Pawn Shop as you can see from the image attached. The directory gave us "top shops" of pawn shops in Cocoa and Melbourne, Florida. If you are not familiar these are pawn shops over an hour away from Orlando, Florida. What a complete joke. If you are searching for an Orlando Pawn Shop on this website they are going to point you to a place an hour away? Ridiculous. Do yourself a favor and just google "Orlando Pawn Shop" or pawn shop near me. It will save you a lot of time and gas instead of using this horrible directory.